Richard (now Radhanath Swami) learnt an important lesson while staying at Bon Maharaj’s ashram. One devotee Jagannath requested Richard to take a group photograph of him and his friends. Since there was only one roll left and Richard’s friend David wanted to take some special photo later, they decided to pretend to take the photo. The next day Jagannath came to know of this deception and cried tears at this duplicitous behaviour of Richard. Such an insignificant transgression would be hardly noticed. But in a devotional culture, soft-heartedness and integrity are held sacred. What really is the culture of devotion? It is so very subtle, but it fertilizes the field of the heart so that the seed of true love may grow. Jagannath felt sorry for Richard and said that he had trusted him and now Richard had betrayed that trust and disappointed his expectations. 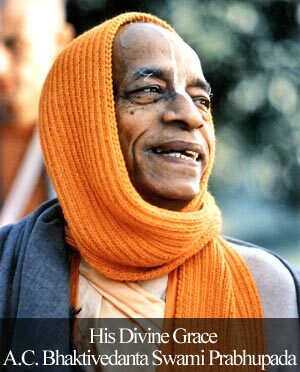 Radhanath Swami learnt the lesson that a real devotee should never treat anyone cheaply. I read in Stephen Covey’s book about a 2005 survey that shows that in U.S.A only 22% people trust media, 8% trust political parties, and only 14% Americans believe that others can be trusted. In Great Britain, in 1975 60% of the population believed other people could be trusted; today it’s down to 29%. In the recent elections in India, most places polling was 35-50%. Numerous scandals in the financial markets and even amongst spiritual circles have made people loose trust in others. How to become trustworthy? Radhanath Swami says trustworthiness is based on the principle of character (what we are as persons), and the principle of competence (what we are able to do as persons). For example, if you have faith in my character as a person, but not in my competence for a particular service, you may trust me as a friend, but you may not trust me to provide you with needed services. Alternatively, you might trust my intellectual and technical competence as a manager or teacher but may lack confidence in my character. Character is a constant; it’s necessary for trust in any circumstance. Competence is situational; it depends on what the circumstance requires. Radhanath Swami points out that many people have devoted a great deal of time, energy and money in acquiring and maintaining a high degree of competence to practice different professions and even services in spiritual organizations. But what about our ethical character? Each one of us has to build and maintain this aspect of our trustworthiness if we want to be effective in inter personal relations. 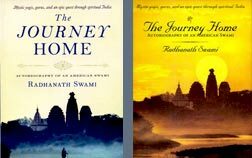 As Radhanath Swami learnt from Jagannath we have to be truthful and simple. I was reflecting what is a common result when we learn that someone has lied to us? Whatever he or she says after that may be suspected of being false, however true it may be. Likewise, lies defended as white cannot always be easily dismissed. What we perceive as harmless or even beneficial may not be so in the eyes of the deceived. Eventually we lose grace of the divine due to our taking other souls cheaply. Thank you very much Radhanath Swami for sharing this. It has turned my thinking-hats on! From an ordinary point of view this incident is so trivial but a devotee’s heart is so soft that he cannot imagine to cause any physical,emotional or spiritual harm to another devotee.Thank you for sharing this wonderful meditation. Thank you very much for reminding us about this deep realization shared by His Holiness Radhanath Swami. Thank you Radhanath Swami for so wonderfully explaining how the perfect balance of Character and Competence is required for becoming ‘Trustworthy’. To have a saint like Radhanath Swami belonging to such an exalted line of great spiritual masters amongst us is our very great privilege. Nice article – Thank you so much Maharaj for sharing this wonderful article. Radhanath Swami very eloquently describes the basis of trustworthiness – character (what we are as persons) and competence (what we are able to do as persons) and that character is constant but competence is situational. I had never seen it from this angle. Thank you Maharaj! 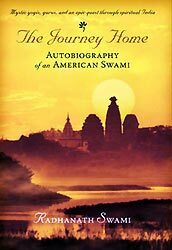 Thank you very much for such a wonderful writing on the basis of Radhanath Swami’s Journey Home. Thank you very much for sharing this. THis is so practical way of developing trust. If we understand Swamiji’s statement, we will see God’s hand in everything, and thus achieve God Consciousness. for teaching us to see each & every situation of our life as a mercy of Lord & accept every moment with positive attitude. thank you Radhanath Swami for so wonderfully explaining about every aspect of life as part of purification of our heart. Taking other souls cheaply, that’s a striking point. Very thought provoking – Thank you so much for sharing these wonderful realizations. Such a simple fact and yet so profound. Thank you for sharing your realizations- especially trustworthiness of character and competence. Gives a better understanding to ponder on this subject matter. Thank you for so intricately expalining this point using an example from personal life of Radhanath Swami Maharaj. What Radhanath Swami says that we need to develop trust in our inter personal relations is true. devotee of Krishna should never treat another human being with indignity. An invaluable lesson to be learnt. Radhanath Swami learnt the lesson that a real devotee should never treat anyone cheaply. True! We should never let a person down by our unethical behaviour! Trust is a very important part of spirituality!